Note: Churches listed in alphabetical order. missionary from China. Chad Grayson is pastor. visited Boulevard Baptist Oct. 22. Harvest Festival was Oct. 31. Churchwide Thanksgiving banquet set for Nov. 19. Mark Stagg is pastor. women of Calvary Slidell who lost so much as a result of Katrina. Oct. 13-14, and Fall Fest Oct. 27. 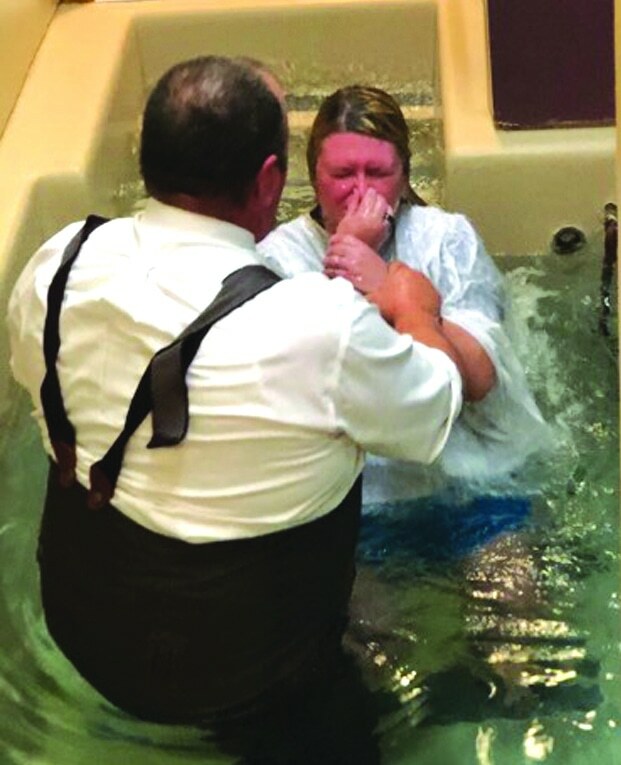 Christ Baptist in Houma hosted a Hallo Him event Oct. 31. David Meacham is interim pastor. pastor of this year-old church plant. Dry Creek Baptist Camp dedicated its new tabernacle with a dinner service Oct. 10.
in Mexico. Larry Linson is pastor. Apr. 24. Ongoing studies include The Patriarchs, Your Girl, DivorceCare. the church’s original sanctuary. Bob Adams is pastor. a Thanksgiving dinner at noon Sunday, Nov. 19.
requires two hours homework each week. Rick Wolfe is teacher. for grades 1-5; First Contact ministry to expectant and new parents. to the SBC’s World Hunger program. Gevan Spinney is pastor. multi-media live drama, Last Chance. Shelby Cowling is pastor. grounds keeper. James Simeon is pastor. First Baptist in Jackson celebrated Constitution Week recently. Nesom is pastor. His wife, Janice, died recently. First Baptist in Luling’s Children’s Fall Family retreat was Oct.
the Season Christmas Tea is set for Saturday, Nov. 4.
discuss new books in the library. week on cable television. Carl Gulde is pastor. church recently named a pastor search committee. committee members was 6 p.m. Sunday, Oct. 15. Conference in November. A cake social Oct. 29 also helped raise money. Members are filling Samaritan’s Purse shoeboxes. in the Nov. 9 issue. year’s Christmas musical, The Heart of Christmas. Huey Moak is pastor. CD are available. Author Mary Stafford Varnado was keynote speaker Oct.
MacArthur is to be studied Thursday mornings for five weeks. Friendship House in New Orleans. Fall Festival is set for Oct. 31. When Worldviews Collide started Oct. 8. Homewood Baptist in Alexandria started Financial Peace University Oct. 17. Jimmy Koonce is pastor. is set for Nov. 9 at Kingston Road Baptist in Shreveport. Cost: $10. church. A Harvest Celebration was set for Oct. 28. Mount Carmel Baptist in Florien hosted a Fall Festival and Stew Oct.
are needed. Larry DeLoach is pastor. Mulberry Baptist in Houma hosted a spaghetti cook-off after church Oct.
29, and the drama group. The Jeremiah People earlier in the month. Steve Graves is new as pastor. baseball field. Marty Wright is pastor. Pleasant Hill Baptist in DeRidder is one of many churches across Louisiana who participated in October in a blood drive. Oct. 31 fall festival included a slide and climbing wall. craft/rummage sale was Oct. 28 as a fundraiser for Mission Mexico. completely finished and the church members “Renewed their vows” Oct.
given us as His children,” according to the Bulletin newsletter.